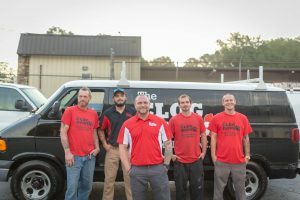 For Atlanta Area Gas Line Repair and Installation Services Done Right, Call The Experts at The Clog Dawg Plumbing Today At 404-998-1967! 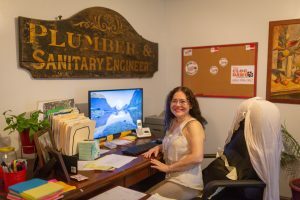 For years, The Clog Dawg has been serving the natural gas repair and installation need for the North Atlanta Metro and Cobb County. Call The Clog Dawg at 404-998-1967 if you need to schedule service for a gas line issue at your home or business. If you suspect a gas leak on your property, evacuate the area and call 911 immediately. Evacuate the area now. Make sure that all occupants of the building area safely removed from the area, and get to a safe distance from the building as quickly as possible. Discontinue use of any electrical devices. During a gas leak, even the slightest spark from a lamp or appliance can cause a massive explosion. Avoid turning on any lights, do not use any physically connected telephones, and avoid using your mobile device until you’re safely cleared from the building. Do not take the time to turn off or shut down any computers- instead, just walk away from the area as quickly as possible. Leave the front door open. When you’re evacuating the property, do not close any doors or windows behind you. Instead, leaving the doors and windows open can help vent some of the gas that’s built up in the building. Call 911. Once you’re safely outside the building, call 911 and request the gas company shut off the line to your building. Again, make sure you’re well clear of the area before you make this phone call. Call The Dawgs. 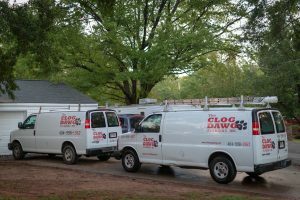 At The Clog Dawg, we’re Cobb County’s experts with solving gas line issues. Our licensed techs will take care of the problem swiftly and safely so you can resume your normal routine as soon as possible. 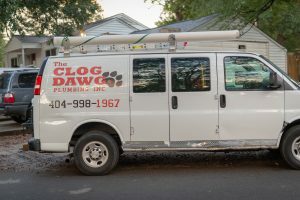 On a far less serious note, if you need a gas line extended inside your home or business- maybe to hook up new gas stove or a water heater- The Clog Dawg can help. Our experts are perfectly equipped to extended your gas lines with clean, professional extensions that will give you the convenience of gas that you’re looking for with minimal hassle. Have a gas line leak? Call (404) 998-1967 after you’ve called 911.